Want to Root and Install TWRP Recovery on Moto G5 Plus. Yes, you can do this easily, all you have to unlock the bootloader of your Moto G5 Plus and after that, you can Install TWRP and Root Moto G5 Plus. All credit goes to the XDA member Santhosh M who provide the unofficial TWRP for Moto G5 Plus. In our last guide, we mentioned that how to unlock the bootloader of Moto G5 Plus. Once the bootloader is unlocked, you can flash the Custom TWRP recovery on your phone and get the root access easily. 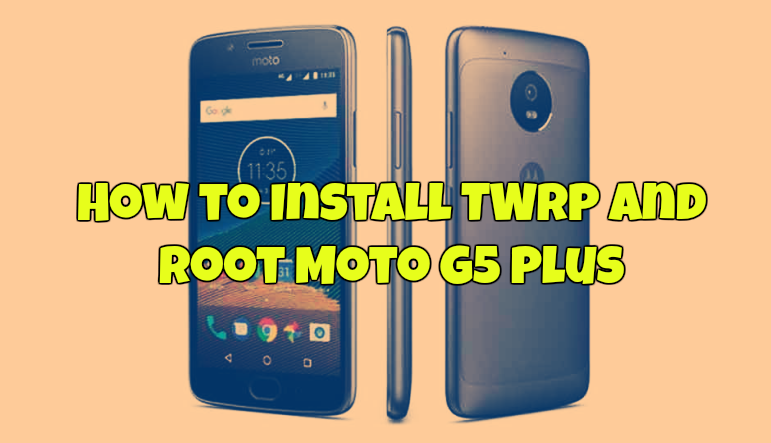 Follow the below mention guide to Install TWRP Recovery and Root Moto G5 Plus. Rooting has so many benefits like You can install custom ROM and custom kernel, block ads on your phone, remove system Apps, customize your device, take the full system backup (Nandroid Backup) etc. Below is the full instruction which you can use to root and install TWRP on Moto G5 Plus. Read all the instructions very carefully and follow all of them one by one on your device. Rooting will void your warranty and Technobuzz.net is not responsible for any damage that might happen to your phone during this process. And yes do take the full backup of your phone. So lets started and install the TWRP recovery on Moto G5 Plus. 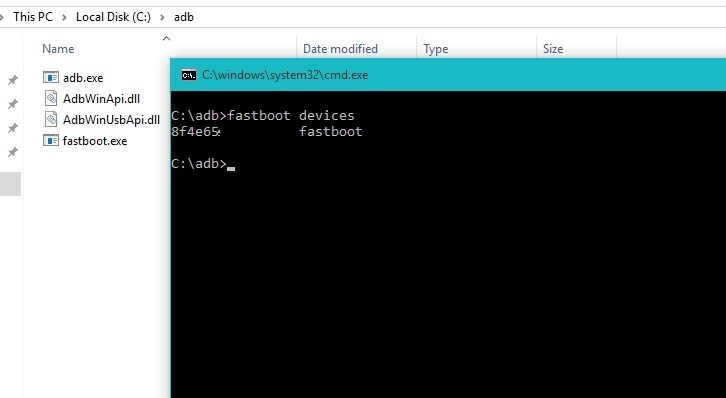 Download ADB and fastboot driver for windows and install it on your PC. This will also install your device driver and create a ADB folder on your C drive (C:/ADB). 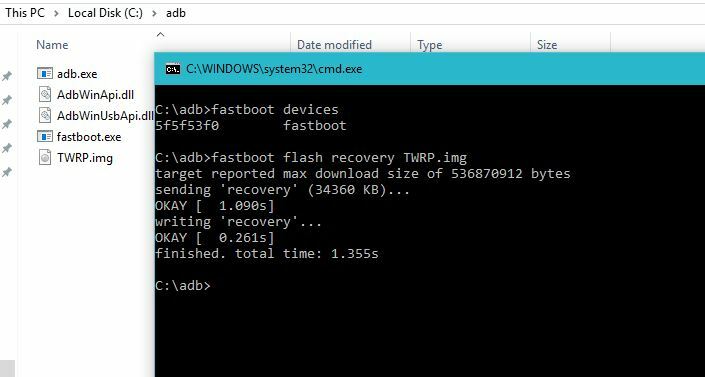 Download TWRP Recovery for Moto G5 Plus (XDA) and save the file in the ADB folder that you created while installing ADB and Fastboot files and rename it to ‘TWRP.img’. Download Magisk to root Moto G5 Plus and copy it to your phone sd card. 1. First, enable the USB debugging mode on your phone. 2. 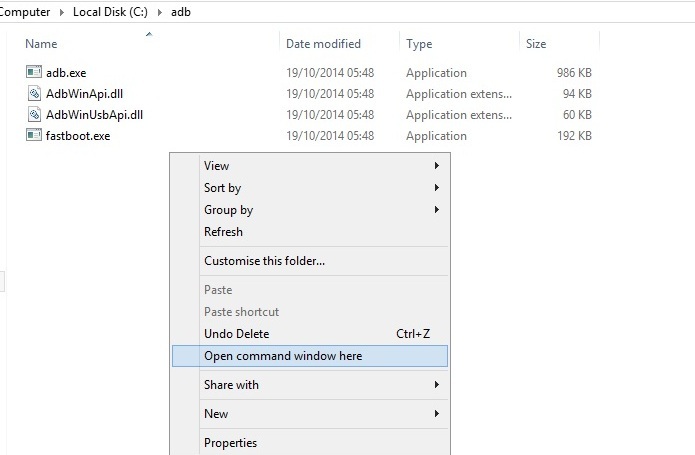 Now open the ADB folder that you created while installing ADB and Fastboot files and open the command window thereby pressing and hold the ‘shift’ key and right-clicked anywhere in that folder. 3. Connect your phone to the PC with USB cable and run the following command on the command prompt window. 4. Now your phone will boot into bootloader mode. Now enter the following command to check your devices is successfully connected or not. It will return your device serial number means your device properly connected. If not then reinstall the drivers and restart your PC. 5. Type the below mention coomand in command prompt and then press enter. It starts flashing recovery on your phone. 6. Now the TWRP recovery is successfully installed on your phone. Now reboot your device with hardware button. 1. Download the Magisk v11.6.zip file and no-verity-opt-encrypt-5.1.zip files from above mention links. 2. After that boot your phone in custom TWRP recovery. To do this Turn off your phone first and hold Volume Down + Power Button. 3. Once you are on the TWRP recovery, tap “Never show this screen on boot again,” and Swipe allows modification. 5. Now copy Magisk v11.6.zip file and no-verity-opt-encrypt-5.1.zip files on your phone. 6. Now go to Install Zip and select ‘no-verity-opt-encrypt-5.1.zip’ and flash it. 7. Now reboot your device and when the device boots up again reboot into TWRP mode. 8. Now Flash Magisk zip file that you saved on your phone wipe cache and Dalvik cache and reboot. 9. Now your phone will reboot and open the Magisk Manager App on your phone. 10. Done, Now you successfully rooted your Moto G5 plus. That’s it !. Now you have the Rooted Moto G5 plus with custom TWRP recovery. If you have any questions, then comment below. Make sure you unlocked the bootloader first. If you already did that and still receiving this error. Try to reboot to recovery. sometimes it shows wrong error. Bro.. please make a TWRP installation guide for moto c plus ..
My handset Moto G5 s plus, I have tried to flash my device using software called “RSD Lite” , Without enabling developer option and without oem unlocked. I need help now, My mobile got stuck at bootloader itself, unable to start my phone…,. kindly guide solve this issue, Need exert advise..,.